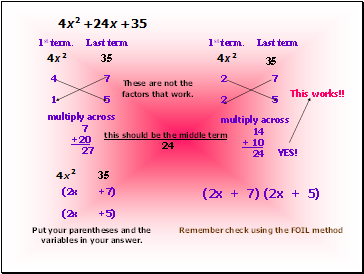 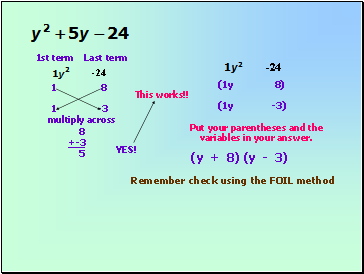 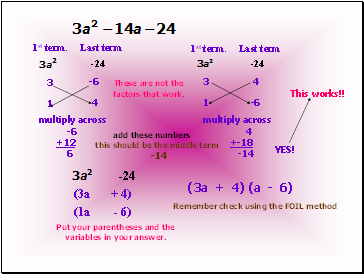 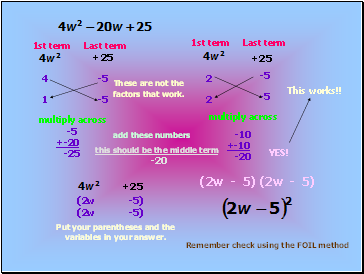 Here is another way to factor a quadratic. 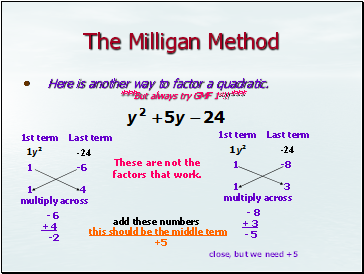 These are not the factors that work. 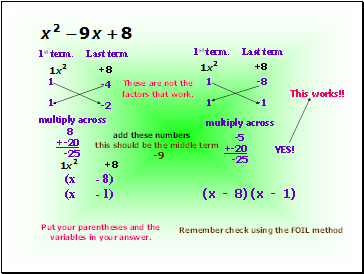 Put your parentheses and the variables in your answer.